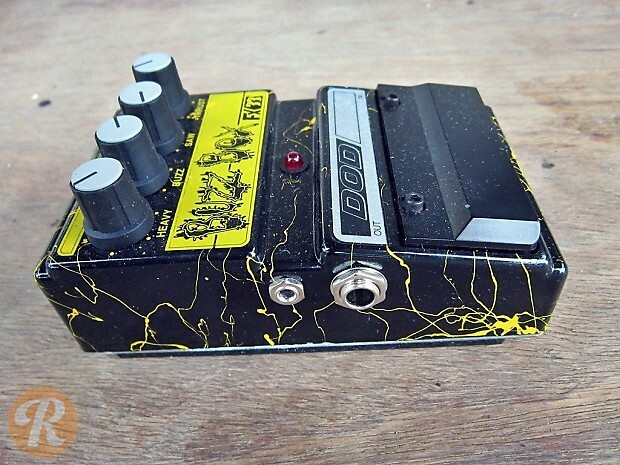 The DOD FX33 Buzz Box was made to emulate the guitar tone of Buzz Osbourne of the Melvins: a ProCo RAT driving an MXR Blue Box. 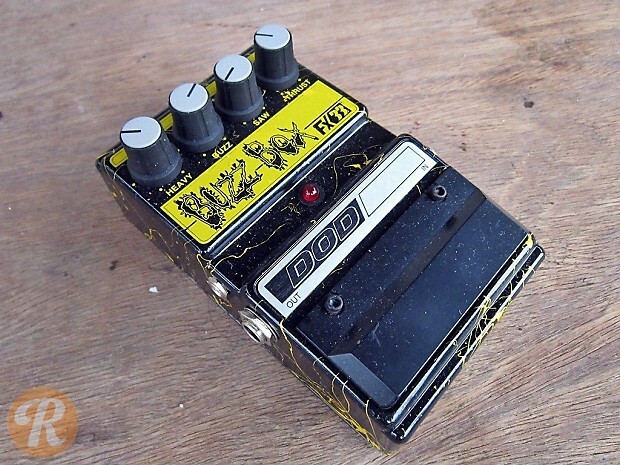 The DOD FX33 Buzz Box replaced the RAT distortion circuit with their FX69 Grunge pedal circuit in the signal path, but kept the Blue Box circuit as-is. 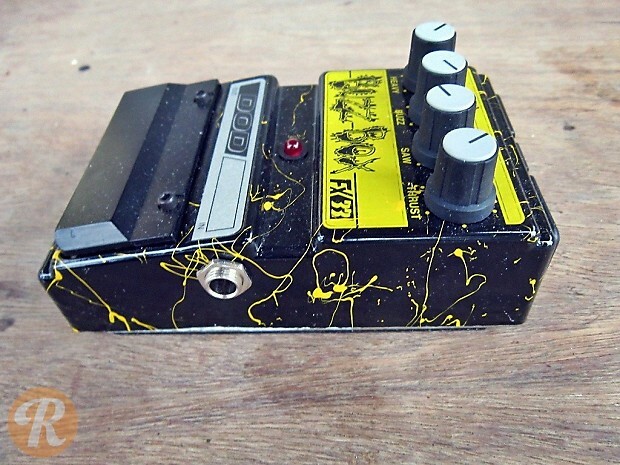 It features controls such as "Heavy" (dry/wet mix), "Buzz" (gain), "Saw" (treble), and "Thrust" (level).